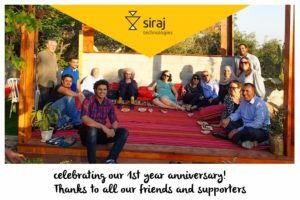 Siraj Technologies Ltd. is celebrating its first anniversary. When we launched in April 2017 in Be’er Sheba, our goal was to spend our first year building a highly technological company that employs mainly Bedouin professionals from the ground up. We are proud to say that we have accomplished this objective. Successfully developed a complete system for simulating GE’s Predix connectivity to edge devices and delivered it to GE’s cyber lab. Advanced projects and started working with three other companies. Grew team to 6 engineers and will continue growing according to our multi-year plan. Awarded a “Startup Companies, Minorities Track” research & development grant from the Israel Innovation Authority in April 2018. This grant will allow us to leverage the experience gained in our first year in order to develop our own intellectual property. Received the prestigious “WeWork Creator Award” in October 2017, just 6 months after establishment. Secured social investment from leading hi-tech entrepreneurs and from business leaders in the Bedouin community. This investment allows for faster expansion and will ultimately be repaid as dividends. Featured in major media outlets, such as The Marker, YNet, and ITPortal. a social enterprise, we take pride in our role of incubating a Bedouin tech community in Be’er Sheba and the surrounding areas. This year, we initiated inspiring, tech-focused events targeted at the Bedouin community, including professionals, college and university students and graduates, and high-performing high school students. 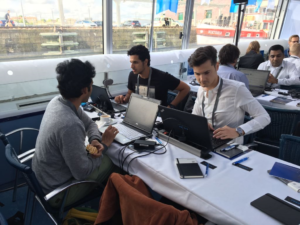 Notable events include an introduction to IOT, and a well-attended meetup with the first employee of Waze, Fej Shmuelevitz. The impact of the interactions generated by these meetings – a Bedouin high school student conversing with one of the founders of Waze – can be a career defining moment for the individuals involved. These community building events highlight Siraj’s social mission, of connecting between Israel’s hi-tech industry and the Bedouin community. Our offices are located in Be’er Sheba, and our recruitment efforts center on hiring Bedouin professionals. However, recruiting such talent is a major challenge since a very small number of Bedouins study STEM subjects at college and university, and those who do often require additional training. We have been aware of this challenge since our establishment, and for that reason Siraj Technologies, starting in 2018, is operating in close partnership with the Siraj NGO, “Siraj: Advancing Hi-tech in the Bedouin Community”. Now that the feasibility of a highly technological Bedouin company has been established – it is time to expand! 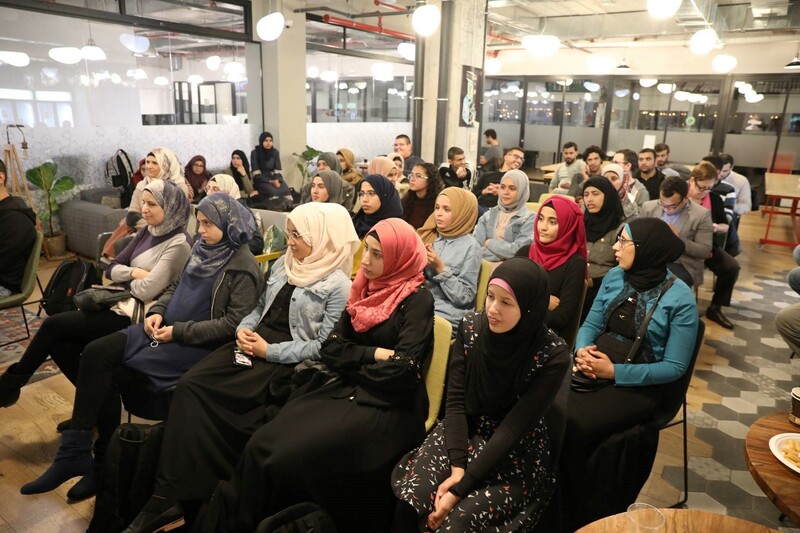 The Siraj NGO, which formally launches operations in 2018, sets out to meet hi-tech recruitment challenges in the Bedouin community by establishing a candidate pipeline of Bedouin engineers for Siraj Technologies and the Israeli tech industry. Siraj NGO recently completed building its Board of Directors that will be led voluntarily by Aharon Fogel, who served for many years in Israel’s Ministry of Finance. Other members of the board include Fadi Elobra, a leader in the field of workforce development in the Bedouin community for over a decade, and Hanan Alkirnawi, a social worker who has managed programs for at-risk youth and employment programs at the municipal level. Just as 2017 was the breakthrough year for Siraj Technologies, we believe that 2018 will be the breakthrough year for the Siraj NGO.